Officials say dogs, snakes and tortoises died in the fire. An investigation into what caused the fire continues. Firefighters say dozens of animals are dead following a fire at the central Florida animal sanctuary, Second Chance Wildlife Sanctuary. 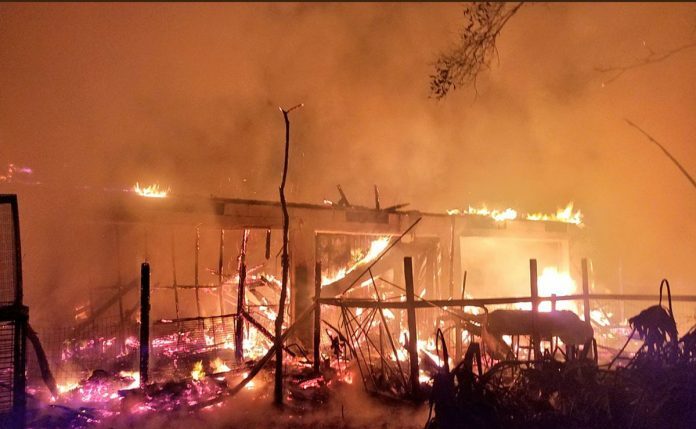 The fire was reported just after 1:30 a.m. at Second Chance Wildlife Sanctuary on Baron Road. Officials say dogs, snakes and tortoises died in the fire. Fire rescue officials said they don’t believe any dangerous animals got free as a result of the fire. Flames destroyed the home before firefighters tamped them down after a 40-minute fight. No humans were hurt. An investigation into what caused the fire continues and will be determined by Florida Bureau of Fire and Arson Investigations.